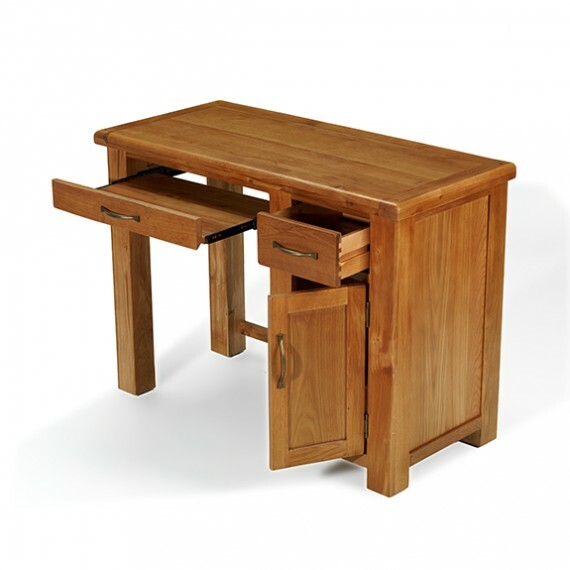 If you have to work from home, you might as well do it in style. 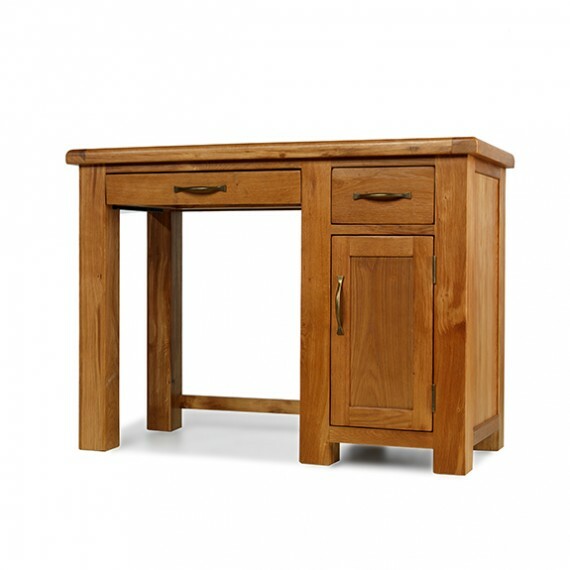 This handsome desk will help. 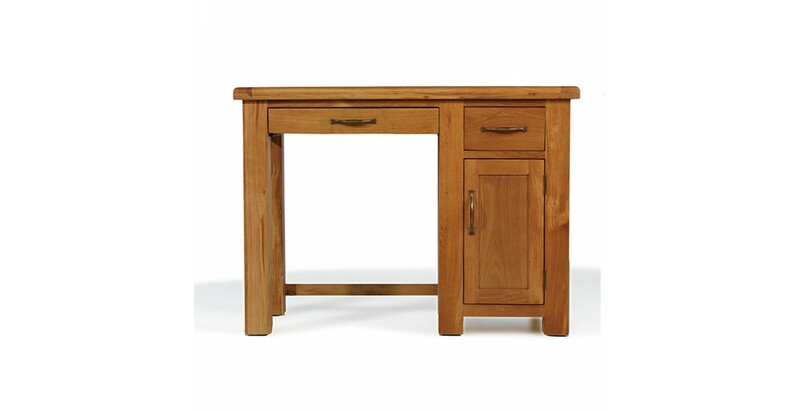 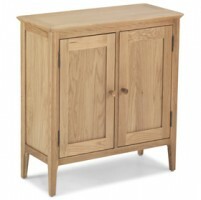 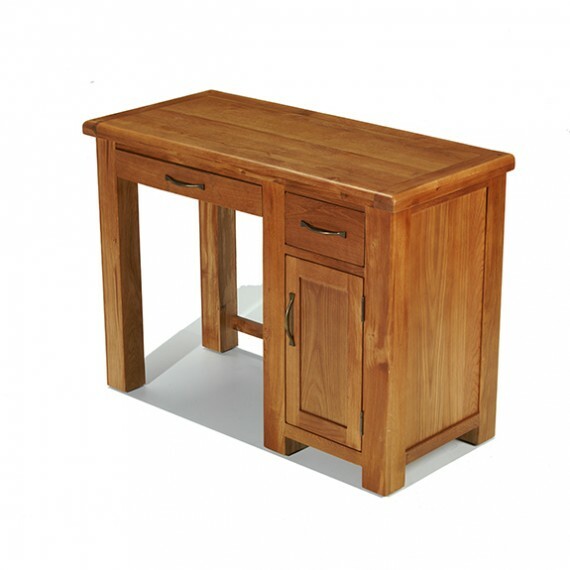 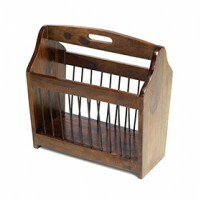 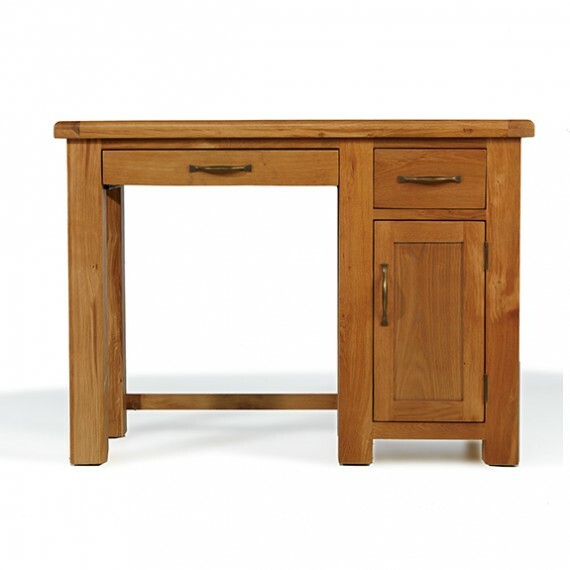 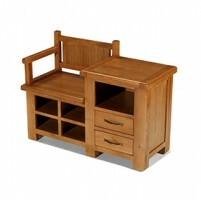 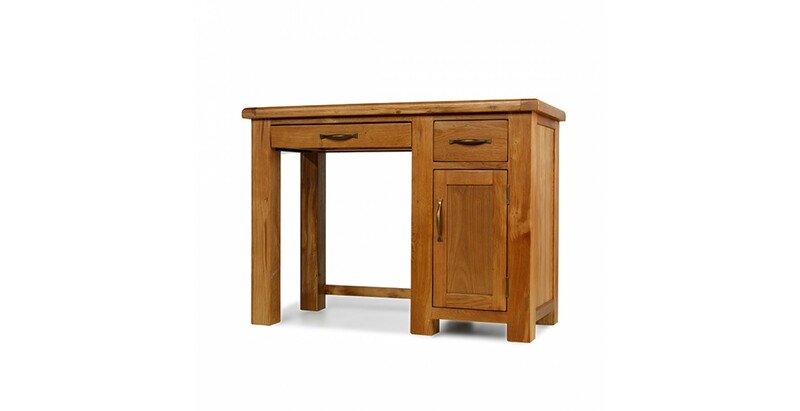 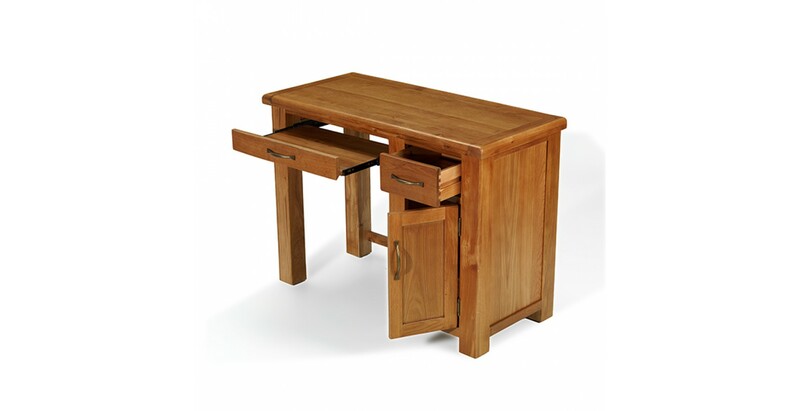 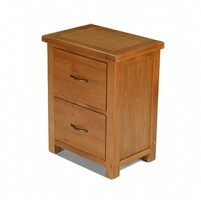 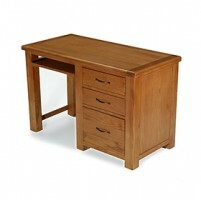 Skilfully crafted from oak to keep it in business long term, it has a chunky top for your computer, a slide-out drawer for your keyboard if you use a PC, a small drawer for stationery and a cupboard to keep your paperwork organised or your PC tower out of sight. 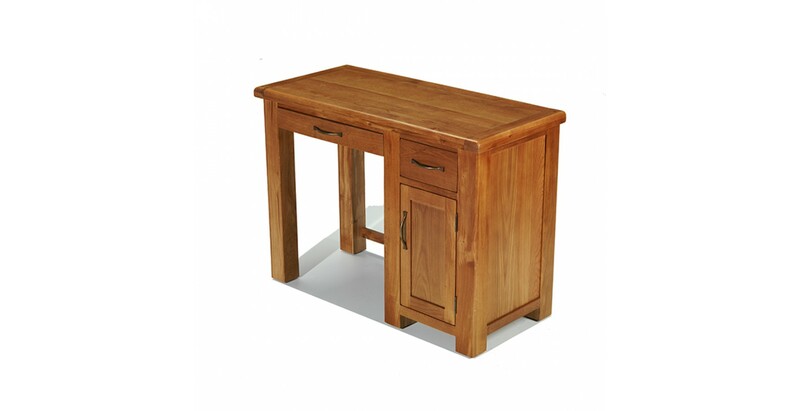 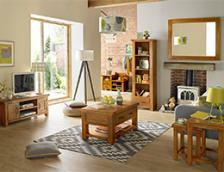 A wax lacquer has been employed to keep the timber looking its best and bring out its natural rustic character.